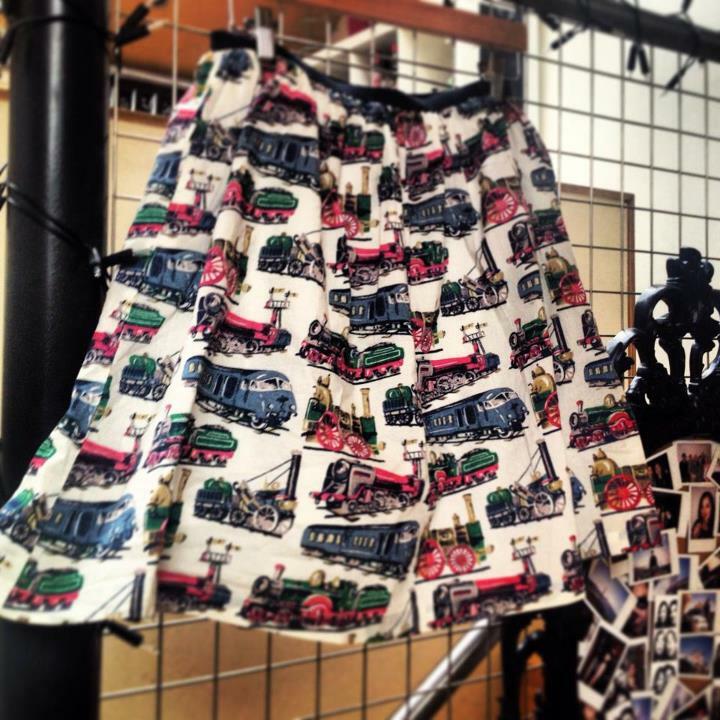 When I spotted this super cute train-print skirt from Cath Kidston, I knew I had to get one to wear on our next Amtrak adventure and impress my train-loving fiancé. It was Laura's birthday on Monday and we'd planned to surprise her with a cake at the pub quiz but she was struck down with the flu, so we rescheduled for today. 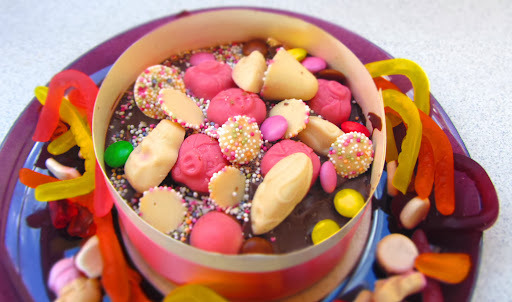 I'd found the cake at the amazing chocolate shop in Newington and it was covered in chocolate mice, skull crushers, jazzies and other treats. 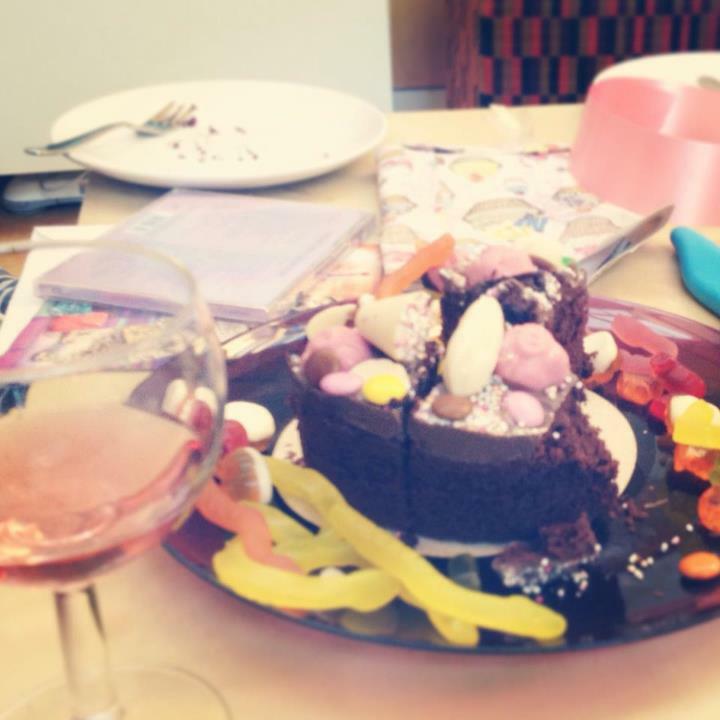 Kenny had got her a CD of 90's pop classics, so we listened to that while drinking fizzy pink wine and having a sugar binge. It left me feeling a little dizzy!